It’s easy to think that green building materials are only used in small quantities or for unique non-structural purposes. But that’s not the case. Green building materials are being used in ultra-modern office buildings with great sustainable and aesthetic effect. Green building materials are good for the environment and beautiful. I catalogued some ultra-modern buildings that use reclaimed wood, cross-laminated timber, and recycled steel. 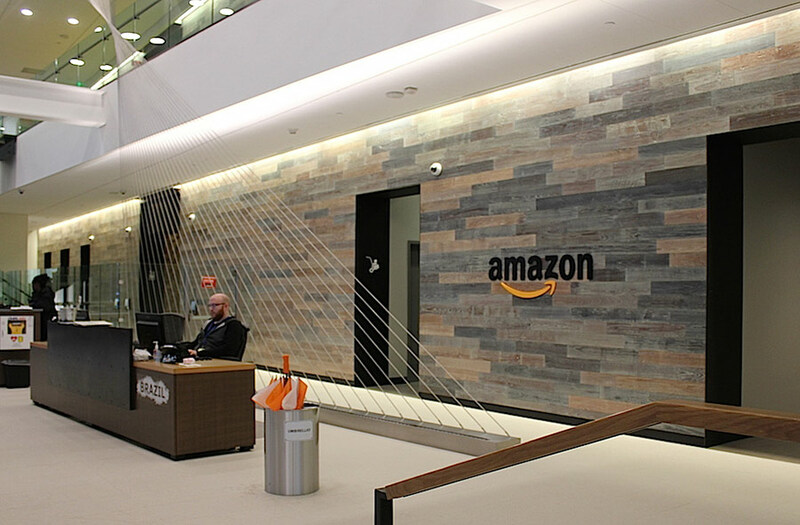 From TerraMai: The Amazon Seattle headquarters uses reclaimed wood. Amazon, Hulu, HBO and Google all use reclaimed wood in their offices. 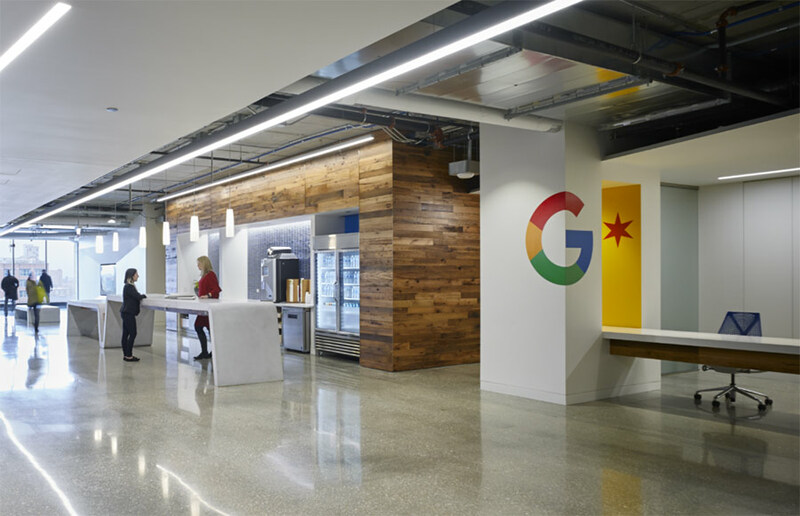 From gb&d Magazine: The Google office in Chicago uses natural light, an open floor plan, and reclaimed wood. The ultra-modern design is so often perceived to be all white or steel, but adding in natural elements can make the design even more beautiful as well create a better environment for employees. 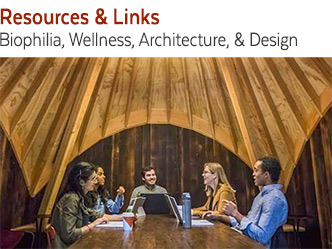 Natural elements help employees to be happier, healthier, and more efficient. 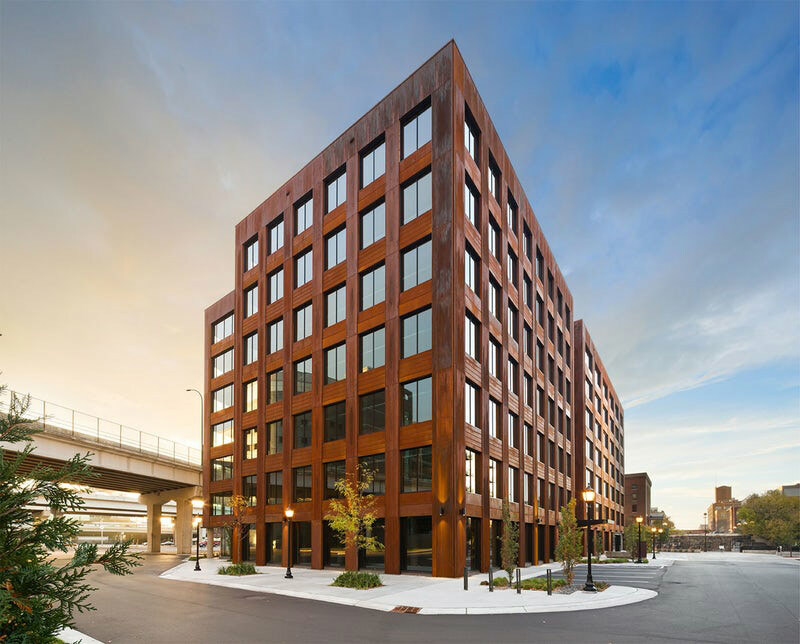 From StructureCraft: The T3 building in Minneapolis is a mixed-use office and retail space built entirely of NLT. The 10-storey, 180,000 square-foot building took just 9.5 weeks to erect. Cross or nail laminated timber are ways to sustainably use new or reclaimed wood in a more environmentally friendly way. The process requires timber beams to be glued and or nailed together to create stronger, more durable materials. 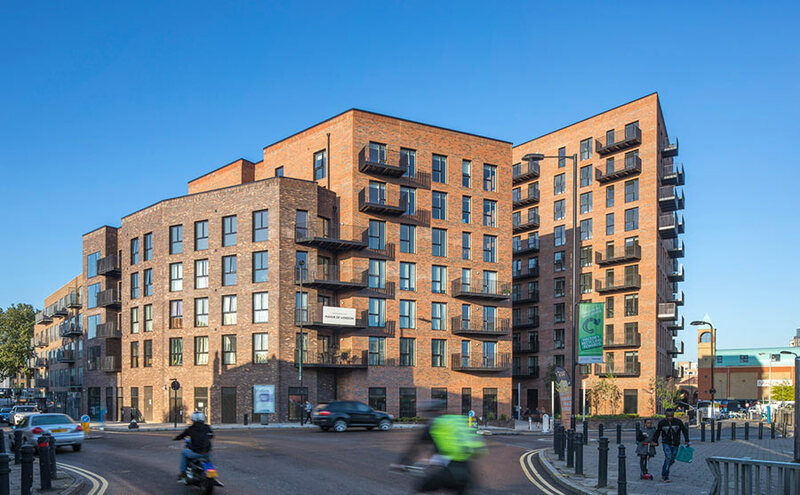 From cb&d magazine: The world’s largest building constructed of CLT. Another bonus of CLT or NLT use is construction times are faster as most of the materials are pre-fabricated. This also lowers noise and dust at the construction site making it healthier for construction workers and less taxing on the surrounding community. According to data from the Steel Recycling Institute, using recycled steel is more sustainable for the environment. While a 2,000 square foot house requires 40 or 50 trees to build, the frame could be constructed using steel from just six scrapped cars. 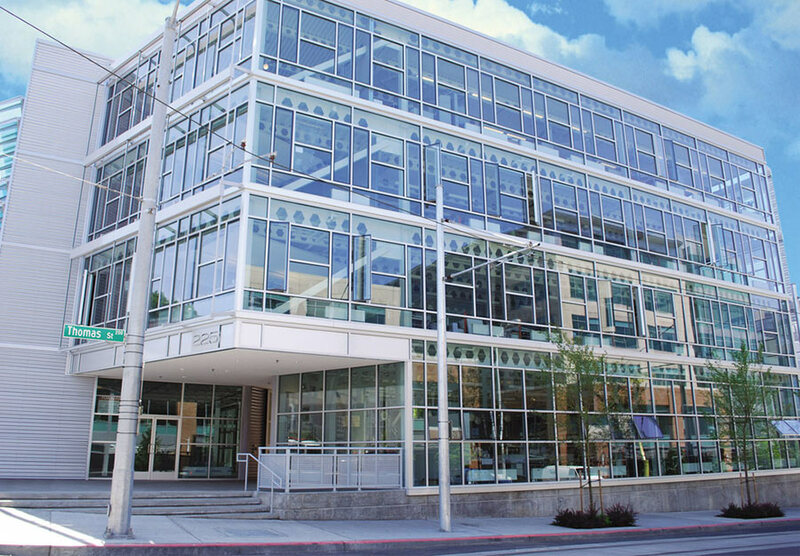 Steel is recognized by the U.S. Green Building Council and LEED as a sustainable building product for its ability to be recycled and recovered after use. Steel is also environmentally friendly in that it doesn’t release VOCs. The sustainable and aesthetic qualities make green building materials great for use in ultra-modern office buildings and design. Keep an eye out for some new cutting-edge building materials such as mycelium, ferrock, Ashcrete, self-healing concrete, and structural 3D printing.